At Plywerk, few things are as important to us as, well, planet Earth. We work hard to ensure our facilities and products are as eco-conscious as possible, and we source materials locally whenever we can. It just so happens, though, that the very core of many of our products—bamboo—is simply not possible to source locally, or in the United States at all. However, this doesn’t mean we can’t still source it sustainably. All of our bamboo photo and art panels are made from premium Moso bamboo, and begin their lives as baby culms in their home environment of China’s Zhejiang province. Young culms grow as much as 2 feet per day! This rapid growth is what qualifies bamboo as a sustainable wood, which is also excellent at capturing and holding C02. It is so good at this, in fact, that many Moso bamboo products remain carbon negative throughout their entire production cycle, right up through delivery to your door. While the culms become full grown plants after just one year, it takes time for them to fully mature. We use only plywood manufactured from mature Moso, which is typically about 5 and a half years old. 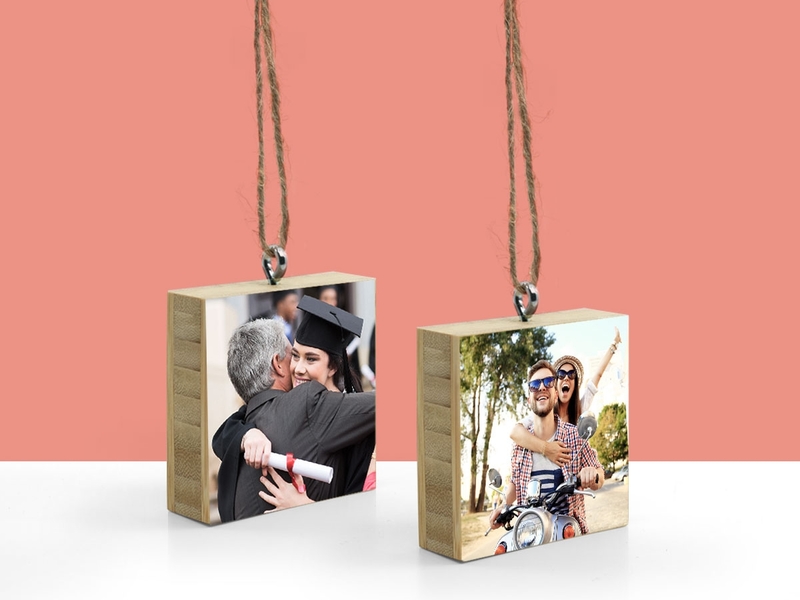 Mature Moso bamboo has compression strength comparable to concrete, which means your custom bamboo picture frames will last a long time to come. Due to import restrictions, Moso bamboo currently does not grow anywhere in the US, but by working with bamboo plywood importer Teragren, we can rest assured knowing that all of our bamboo is of the highest quality and harvested sustainably. Teragren’s Moso plywood is simply the best in the business: for us, for you, and for the planet. 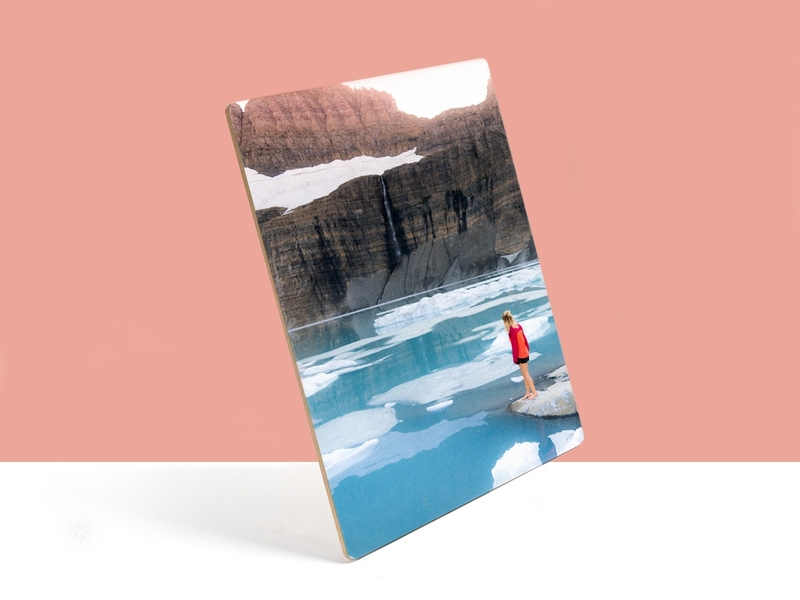 After we receive the full-size panels from Teragren, we work our magic to cut them, sand them, finish them, and finally mount your beautiful photos and artwork to them. All grown up, our Plywerk is then sent to you where it will happily live out its days. This entry was posted in Behind the Scenes, Beyond Plywerk, Eco-Conscious, More Than Just Green, Photo Display Products, Photo Panels on December 30, 2014 by admin. Well, it looks like somebody was on the “nice” list this year! Congratulations on receiving your Plywerk gift! Not only are you clearly honored and revered by your loved ones, you now hold in your hands the world’s best custom picture frame! If this is your first piece of Plywerk, you might be interested to learn a little about how it got to you. 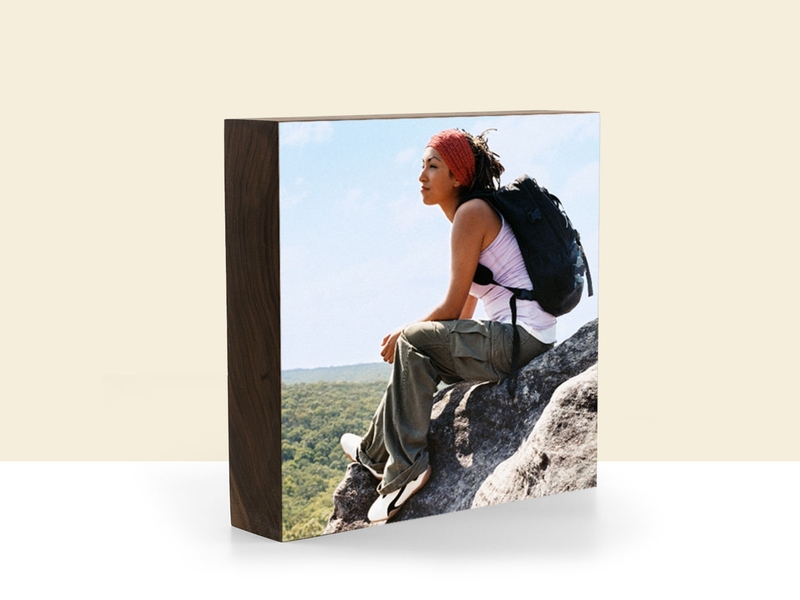 All of our photo display products begin their lives as sustainably-grown bamboo, maple, or walnut hardwoods. We strive to be as eco-friendly as possible throughout the entire production process, and all of our products are made by hand with love in our SE Portland workshop by genuine human beings (with some seasonal help from elves). Plywerk isn’t just the best photo-mounting option because it’s eco-conscious, however; it also happens to look great, whether you hang it on your wall, place it atop your desk, or magnetize it to your refrigerator. And if you need some ideas on how to display your new Plywerk, check out this great pin board, or take a look at our own Ideas page. Hanging a Plywerk custom photo or art panel is a cinch. 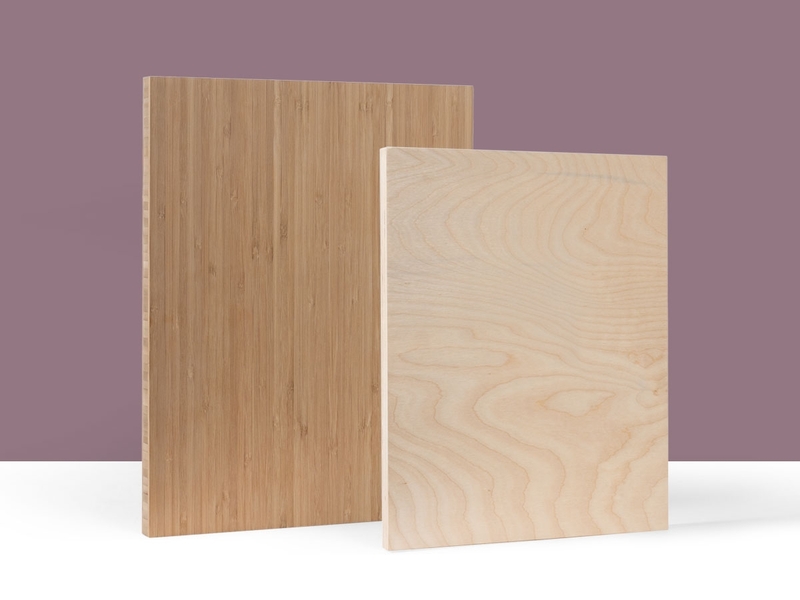 All of our bamboo and maple plywood panels are ready-made with our signature keyhole mounting system, but if you’d rather not put a nail in your wall, we have a solution straight from our research and development lab to accommodate you. Once again, congrats on being so obviously loved by someone! Once you find a special place to display your new Plywerk, feel free to let us know on Instagram using #plywerk! This entry was posted in Eco-Conscious, Gifts, Handmade in Portland, Holiday Gifts on December 26, 2014 by admin. The holiday season presents a rare opportunity for family portraits. For most of us, it is the only time of the year when the family is together in the same location. Naturally, recording our memories of this time because important. But to truly appreciate this time, you’ll need more than a basic snapshot. Here are some tips to improve your holiday family portraits this holiday season, so that they look fantastic on a Plywerk custom picture frame or photo display stand. 1. Give your portrait a setting A holiday family portrait should show why, when, and where it was taken. You can accomplish this pretty easily, just photograph people in front of something that reveals the setting, such as a Christmas tree, the hearth of the fireplace with greeting cards on the mantel, etc. You can also spice the image up with props, like ugly holiday sweaters, New Year’s party hats, grandma’s fruit cake, or anything that symbolizes the spirit of the season to you! 2. Take better selfies using your camera’s timer If you’re arms aren’t long enough to get the camera far enough way to include yourself and your entire family in a selfie, just use your camera’s time-delay mode. It helps to have a tripod for this, but you can also just set the camera on any stable surface. 3. Lighting matters Try to find a place with even lighting in the room. It’s great to have tree lights or the warm glow of a fireplace in the background, but make sure there is enough light falling on your subjects so they don’t look like anonymous silhouettes in an investigative reporting show. 4. Prepare your portrait for print by leaving a wide margin If you’re not sure what size you’ll eventually want to print the image, it’s a good idea to frame your subjects in a way that leaves plenty of room. That way, when the picture is cropped for printing, you won’t inadvertently cut anyone out of the family tree. With these basic tips, you should be able to take a great family portrait before dinner gets cold. 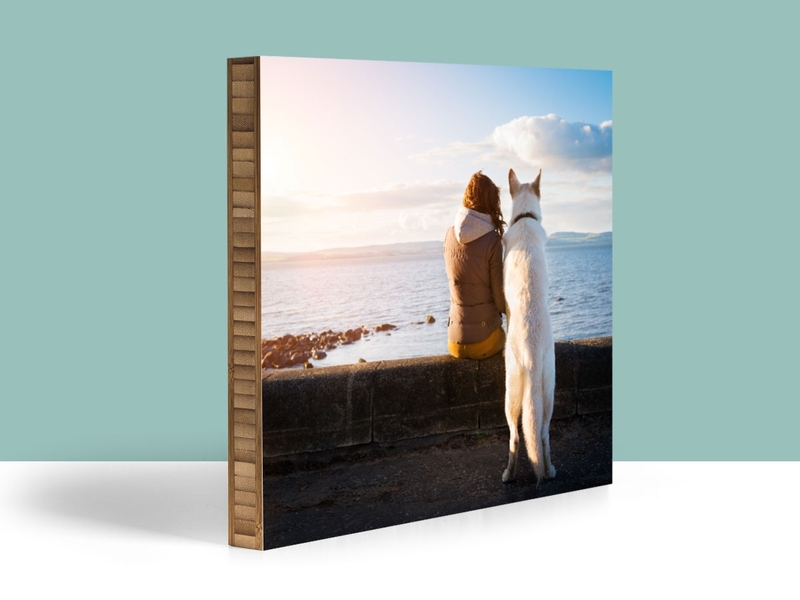 Naturally, everyone in your family will want a copy of your great image, and what better way to send them one than mounted on an eco-conscious bamboo or maple panel? Simply upload your masterpiece to Plywerk, and we’ll take all of the headache out of printing and mounting your image in whatever sizes you desire. This entry was posted in Holiday Gifts, Photography on December 24, 2014 by admin. With the kids home from school, and with the rain, wind, and snow outside, you moms and dads out there might be desperate for ideas to keep your kids entertained indoors. Naturally, we’re pretty crafty here at Plywerk, what with all the handmade bamboo photo mounting products we produce. So we came up with a list of our favorite, family-friendly, green winter craft ideas. Fusible beads (those beads that fuse together when you add a little heat) can be put together in all sorts of shapes. They make for original, colorful gift decorations—bonus points for most creative shapes! Note that this does require the use of an iron, so adult supervision goes without saying. Check out the full how-to here, and be sure you don’t accidentally fuse the beads to your fingers! This is maybe the easiest way to make your own wrapping paper design that we’ve ever seen, and it also literally a green one. Just use the tip of a pine branch, with needles intact (see, green! ), to dab some white paint onto solid-colored wrapping paper. While the official instructions call for blue paper, you might want to spice it up with some red, green, or you know, whatever you want! Read the how-to, and get as creative as you want! We know how busy everyone can be this time of year. We also know that children’s attention spans are nearly nonexistent. Hence, the 5-minute homemade stocking! These felt stockings are not only easy to make, but they look great hanging on the wall next to your custom Plywerk photo display! This video, which is part of a larger series on winter crafts for kids, details another way to make a geometric snowflake out of paper that is safe for kids kindergarten through second grade. Pre-cut geometric shapes out of a white piece of paper, and then let your kids paste them onto a colored background piece into a snowflake pattern—or whatever shape they end up going with, really. This one is a little more advanced and requires some bleach and fabric dye, but the results are great! Bottle-brush trees make for festive table displays or tree ornaments. Follow along with the instructions here. This entry was posted in DIY, Eco-Conscious, Holiday Gifts, Uncategorized on December 23, 2014 by admin. The most photographically challenging situation in the world is not covering a conflict zone, braving a point-blank encounter with a tiger at night, nor taking pictures of hungry sharks underwater. It is, in fact, trying to get a decent exposure of your child in front of the Christmas tree. This entry was posted in DIY, Holiday Gifts, Photo Display Products, Photography on December 21, 2014 by admin. We’ve presented a list of the top 5 photographers’ blogs, and now it’s time for the top 5 Holiday Pin Boards! Firstly, if you haven’t already, you can follow the official, awesome, handmade, eco-friendly Plywerk Pinterest page right here (like I just did). Okay, now on with the list! This entry was posted in Beyond Plywerk, DIY on December 19, 2014 by admin. Get your custom picture frames by December 25th with our “Oops! Last Minute Super Rush” option! Our shipping deadlines extended! Call us or mention the "Oops Last Minute Super Rush" option to get your presents under the tree on time. Our $99 gift option will entitle you to purchase an 8x12 Plywerk or lower size. This entry was posted in Gifts, Holiday Gifts, Uncategorized on December 19, 2014 by admin. This entry was posted in Gifts, Holiday Gifts, Uncategorized on December 16, 2014 by admin. This entry was posted in Gifts, Holiday Gifts on December 10, 2014 by admin.